Crying is the first activity of a newborn which is the way they communicate. They cry to let their caregiver know about their discomfort or need. It could be hunger, wet bottom, tiredness, or need for being cuddled. You need to be aware of the variations between the different baby cries and the reasons behind them. 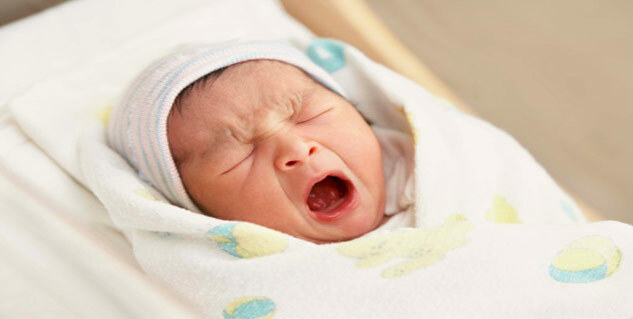 What to Observe to Understand Newborn Baby Cries? The suckling reflex – The cries produced akin to a suckling reflex indicate that the baby is hungry. The sound produced is somewhat like “Neh”. This comes when baby puts his tongue to his mouth’s top in an attempt to suckle. The yawning reflex – The “Owh” sounding cry from the baby is suggestive of him trying to yawn. This obviously indicates that he is sleepy. Complaining – When the baby is in distress, he is inclined to cry which sounds much like “Heh”. When the baby is too cold, too warm, has his diaper wet, or uncomfortable for any other reason, he is likely to complain by making such a cry. Grunt-like cry – When the baby has lower gas, the sound produced is a deep one, often followed by the baby drawing up his legs. The sound produced in the cry is somewhat like “Eair”. Such a cry is an indication that the baby needs to have a bowel movement, or that he needs to burp to get rid of intestinal gas. The burping reflex – When the baby cries “Eh”, it is a sound which indicates that he is trying to push air out of its stomach. 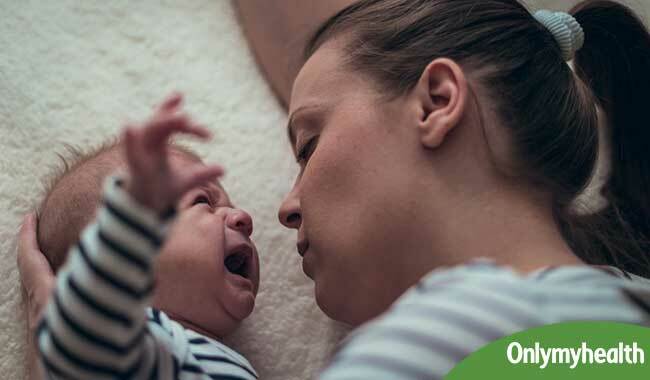 Other than observing your baby’s cries, you should also know the way your child responds to your voice. It would help you to manage the crying infant better. Also Read: Why do Babies Cry at Night? When you approach your crying newborn baby, observe whether your approaching voice is having a good effect or not, i.e. whether it helps him be quiet or not. Does your baby listen to your loving voice? You may not realise but your baby pays close attention to your voice even though he has not been able to coordinate listening while looking yet. By changing the body positions or expressions on the face, your baby is inclined to respond to your speech. He may even move his arms and legs in response to your speech. You should be concerned about your baby’s crying only when it goes on for an unusual length. If the crying seems to be odd and suggests decreased activity level, unusual breathing, poor feeding or abnormal movements, visit a doctor. In many cases, even such an unusual crying is not found to indicate any serious complication. Read more articles on Newborn Care.